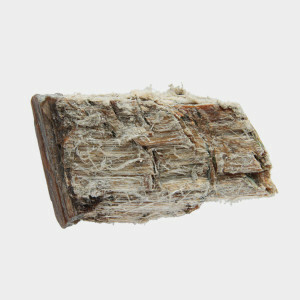 Damaged asbestos may release harmful fibers. If the asbestos fibers are torn, have abrasions or water damage, call a professional to remove the material. Find out how to stay safe. Don’t disturb or attempt to remove asbestos on your own. Only allow a trained and accredited asbestos professional to remove them. Avoid spending time in the room that contains damaged asbestos. Clear children and pets from the room to keep them safe from asbestos fibers.